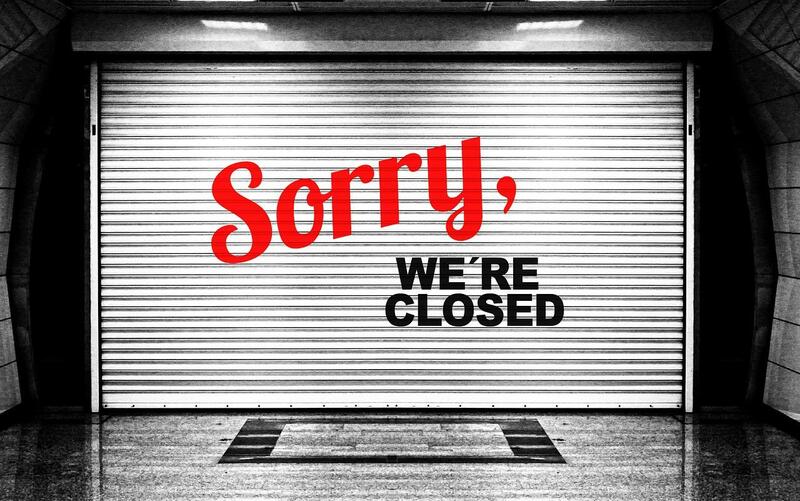 If the U.S. economy is in good shape, why have retailers already shuttered more stores than they did in all of 2018? Not only that, we are also on pace to absolutely shatter the all-time record for store closures in a single year by more than 50 percent. Yes, Internet commerce is growing, but the Internet has been around for several decades now. It isnt as if this threat just suddenly materialized. As Internet commerce continues to slowly expand, we would expect to see a steady drip of brick and mortar stores close, but instead what we are witnessing is an avalanche. If the U.S. economy really was booming, this wouldnt be happening. But if the U.S. economy was heading into a recession, this is precisely what we would expect to see. This year, US retailers have announced that 5,994 stores will close. That number already exceeds last years total of 5,864 closure announcements, according to a recent report from Coresight Research. Once again, you cant blame this on Internet commerce. Foot traffic was rising for quite a while, but now what we are seeing is perfectly consistent with an economic slowdown. I expect store closures to accelerate in 2019, hitting some 12,000 by year end, Deborah Weinswig, founder and CEO of Coresight, said. We are in the early innings of Americas retail apocalypse, and it is going to get much, much worse. The biggest reason for the decline in manufacturing is quite obvious. Businesses are absolutely swamped with unsold inventory, and the inventory to sales ratio in the U.S.has been steadily rising for months. Freight shipment volume in the US across all modes of transportation truck, rail, air, and barge in March fell 1% from last year, according to theCass Freight Index. It was the fourth month in a row of year-over-year declines, and the first declines since the transportation recession of 2015 and 2016. Unfortunately, it isnt likely to be just another recession. As I haverepeatedly stressed, all of our long-term economic and financial problems have gotten far worse since the last recession. We have never seen bubbles like the bubbles that we are facing now, and the stage is set for the greatest meltdown in American history. The only reason why we have even been able to get this far is by ruthlessly mortgaging the future. We borrowed trillions upon trillions of dollars that we should not have borrowed, and the Federal Reserve relentlessly pumped hot money into overheated financial markets. Those emergency measures were able to stabilize the U.S. economy for a while, but in the process they made our long-term problems much, much worse. In the end, it isnt just the retail industry that is heading for an apocalypse. Our entire economy is built on a foundation of sand, and a giant storm is rapidly approaching our shores.